Information about Real Estate and properties for sale in Todos Santos, this historic area of Baja California Sur, Mexico, including real estate agents and brokers, new developments, architects, consultants and design services. People often come to Todos Santos looking for a dream. A tranquil place in the sun, cooled by a year-round river, palms and lush vegetation - its close to the sea, and full of old world charm and contemporary art. For people looking for a place to retire, create, or start something new  Todos Santos is the place to be in Baja. In the past several years, large tracts of ejido (similar to Indian reservations) land in the area have been released for lot sales and development resulting in a veritable land rush with brisk sales of the lots in close proximity to the ocean. 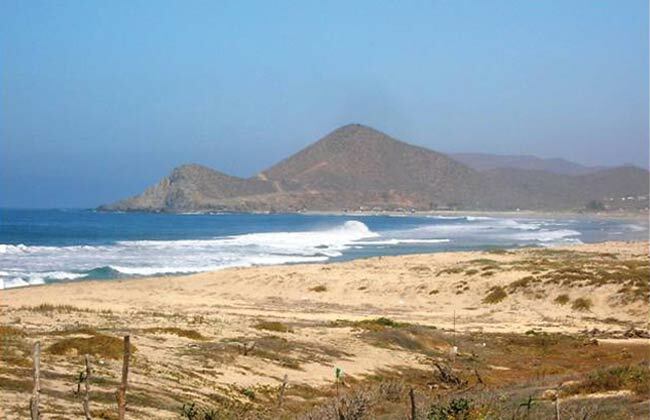 Large scale projects including hotels, condos, resort hotels, golf courses and luxury homes are slated for the southern coastal areas of Todos Santos. There are several real estate companies in Todos Santos that enjoy good reputations for their knowledge of the area and Mexican real estate transaction procedures. American banks are lending on properties here with American title companies insuring titles. Foreigners can hold title to property in Baja California using a Mexican bank trust called a Fidecomiso. Your real estate professional can assist you with this and all the other aspects of purchasing your new home in paradise. AmeriMex - Real Estate - Development - Consultants - Escrow Services - Grupo AmeriMex is a full service real estate company. We specialize in all transactions relating to the purchase and sale of real property. We are able to provide comprehensive title reports and U.S. Title Insurance. A. Paraiso Realty - (formerly Ogden Realty) has been serving the Cabo San Lucas area for 20 years and now has brought their very experienced services and professional staff to Todos Santos. Plaza Antigua, on the corner of Calle Juarez and Calle Topete, Todos Santos. Big Development - Oceanfront & Oceanview Lots & Development Live Your Dream . . . Sun, Ocean, and Tranquility. Our web site Pescaderoliving.com is brought to you by Big Development S. A. de C. V., a fully liscensed, bonded and insured Real Estate and development company of Baja California Sur. Located in the small village of Pescadero near Todos Santos. Cabo Linda Real Estate - With 3 offices to serve your real estate needs, Cabo Linda Real Estate Sales has grown along with this once sleepy fishing village. Benito Juarez s/n entre (between) Morelos y Zaragoza, Todos Santos B.C.S. C.P. 23000, Mexico. Cape International Properties - Cerritos Beach Club on Playa Los Cerritos, Pescadero, Baja California Sur, Mexico. Contact: Darin McDonald. Cerritos Beach Resort and Spa - now taking advance reservations and deposits for their new development of villas and bungalows at Cerritos Beach, or Playa Los Cerritos, located just 30 minutes north of Cabo San Lucas, along the pristine Pacific Coast of Baja California Sur, Mexico. Coldwell Banker Riveras Realtors - Grupo Riveras shows continuous strong presence in the market of Baja California Sur, despite challenging economic times. At the end of November Grupo Riveras opened new Coldwell Banker Riveras real estate office in Todos Santos. Encanto Real Estate - A small personalized firm that offers an assortment of great properties in the Todos Santos and Pescadero areas. Calle Juárez y Hidalgo, Col. Centro, Todos Santos, CP 23300 BCS, Mexico. Katmar Baja Landbank - Source for real estate listings in this area, with an inventory of properties in and around the area of Todos Santos, Pescadero, Elias Calles and Militon Albanez. Benito Juarez y Topete, Todos Santos, BCS. Note: 06 August 2008 - office is no longer at this location. La Palma Real Estate - Daniel Kimple, the owner and manager, is a very helpful and cheerful broker with 12 years experience living in the area. Calle Juarez between Calle Morelos and Calle Zaragoza, Todos Santos, Baja California Sur, CP 23305 Mexico. Maya Roca Real Estate - Angelique Schornstein, John Ambrose and Hugo Figueroa. Qualified brokers working for you. Real Estate buyer's and investor's agents. Your success is our primary concern!" Maya Roca Real Estate, Calle Juárez y Topete, Todos Santos. Phone/Fax: (612) 145-0464. Note: 06 August 2008 - office is no longer open at this location. We are told that the Galeria de Todos Santos will be in this location. More information when available. Milagro Real Estate - Oldest established realtor in Todos Santos. Dale Townsend (Broker and Owner) is Canadian and Mexican and is extremely knowledgeable in all aspects of real estate transactions in Mexico. Open Monday to Saturday 9 am to 5 pm. Located in the historic downtown area on Juarez #35, Todos Santos, Baja California Sur, CP 23305 Mexico. Paraiso California Realty - Real Estate Brokerage on the Pacific specializing in Los Cerritos Surf Beach. Bill Herrera was born in Buenos Aires, Argentina. Raised in Chicago, Illinois and educated in Los Angeles, California. Pescadero, Baja California Sur, Mexico. Pescadero Properties - Browse our selection and contact us for more information. We are a client oriented small office, where you will get unmatched personal service. Punto Magico Real Estate - Luis Ernesto Barcia, the owner of Punto Magico, has a long lifetime experience in Baja properties. Calle Hidalgo between Calle Juarez and Calle Colegio Militar, Todos Santos, Baja California Sur, CP 23305 Mexico. Phone: (612) 145-0885 or (612) 145-0309 and cellular numbers (612) 134-3899 or (612) 152-7434. Real de Santa Ana - The first planned residential community in Todos Santos. Real de Santa Ana offers a unique opportunity to own a beautiful, earth-kind home in Baja Sur at a fraction of the price found in Los Cabos and the East Cape. Sol Pacifico Cerritos - scheduled to be an exclusive oceanfront, gated condominium development 40 miles North of Cabo San Lucas and just South of Todos Santos, Baja California Sur. The buildings will be four stories high with fabulous penthouses and 1 & 2 bedroom condos on the first three levels ~ a total of 56 units, all with spectacular ocean views. 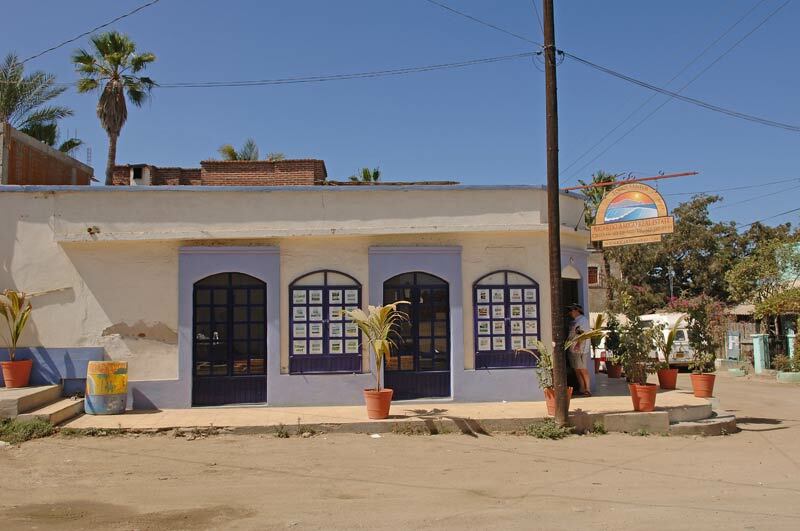 Ricardo Amigo Real Estate - Highly regarded full service real estate office located in downtown Todos Santos with in-house experts specializing in the full range of real estate services. Located on the corner of Centenario and Obregon, Todos Santos, Baja California Sur, CP 23305 Mexico. Todos Santos Multiple Listing - your number one source for real estate listings in this area, with a collective inventory of properties from all the major real estate brokers.